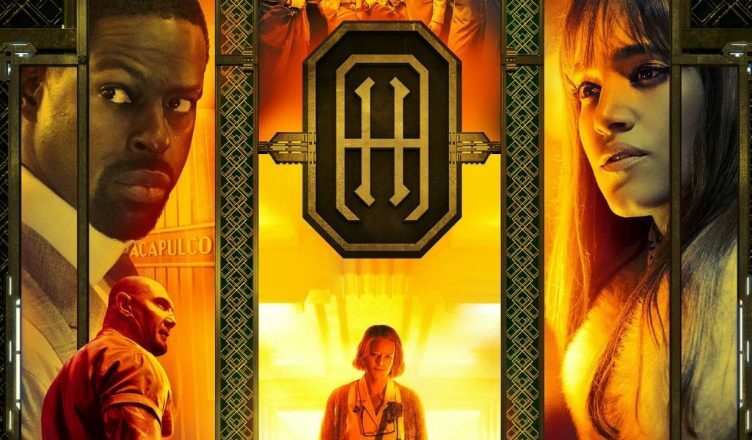 Set in the near future city of Los Angeles, if you’re a card carrying criminal in need of medical attention, then Hotel Artemis is the place to go. Hotel Artemis stars Jodie Foster, Sterling K. Brown, and more in this crime-thriller. Find out if it’s your kind of movie below. The rest of the supporting cast was great too. Sofia Boutella continues to be a knockout hit. Her specific action scenes were one of the most memorable highlights of the film. Coming off a strong performance in Avengers Infinity War, Dave Bautista is capitalizing on his strength (no pun intended) on being a reliable source of comic relief. His character, “Everest”, is sure to be a crowd pleaser given how funny and sympathetic he comes across. Jeff Goldblum is…well…Jeff Goldblum. His mere presence is almost comical (in a good way) but if you’re a fan of his previous work, then you’re more than likely enjoy his performance. As far as the plot of this film, I will say that it was simple, direct, and easy to understand. The usage of advanced technology was a great touch, especially when it came to how they contributed to the action scenes. By the way, this film doesn’t shy away from getting pretty graphic in certain scenes too. While Jodie Foster is a rock solid actress, I simply didn’t care as much for her character (“The Nurse”) or her backstory. There were simply far too many other stories and characters that were more interesting. Right when you start to get enticed about a new character, we get dragged back into “The Nurse’s” past. Unfortunately, even Jenny Slate’s character, “Morgan” felt like a weak plot device that didn’t even impact the overall movie. I will probably have to chalk that up to the marketing of this film setting a false expectation that this was going to be more of an action film. Instead, this film revolves around too heavily on drama of “The Nurse’s” personal story. While there is a valid, and cohesive reason for her backstory to be told, it just felt anti-climatic when we figure out the big reveal about her past. The payoff of the revelation she discovers feels minimal, and almost like a waste of our time given all of the other commotion going on in the film. Speaking of commotion, there was a lot going on with very little action until more than halfway into the movie. Again, the movie was promoted to be almost like a John Wick type of action thriller, but it was not until maybe the last 20 mins. There were a lot of missed opportunities for this movie to build on different characters, the Hotel, or even the society outside of the Hotel Artemis. The Hotel Artemis was built up as if it was a character in itself. Yet, even that barely got developed, or the larger crime universe that constantly gets teased. If you think that you’re going to watch a gun-toting action flick of crazy criminals locked in a hotel, then you’re only slightly mistaken. I’d probably say that Hotel Artemis is like 55% drama and 30% action and 15% humor. So manage your expectations accordingly. All in all, Hotel Artemis is well worth the watch in theaters. I can’t say that it’ll have the same impact or effect that the unexpected hit John Wick achieved. However, if you’re just in the mood for something satisfying to watch during a matinee or with your Moviepass, then this may just be the right movie for you this weekend. 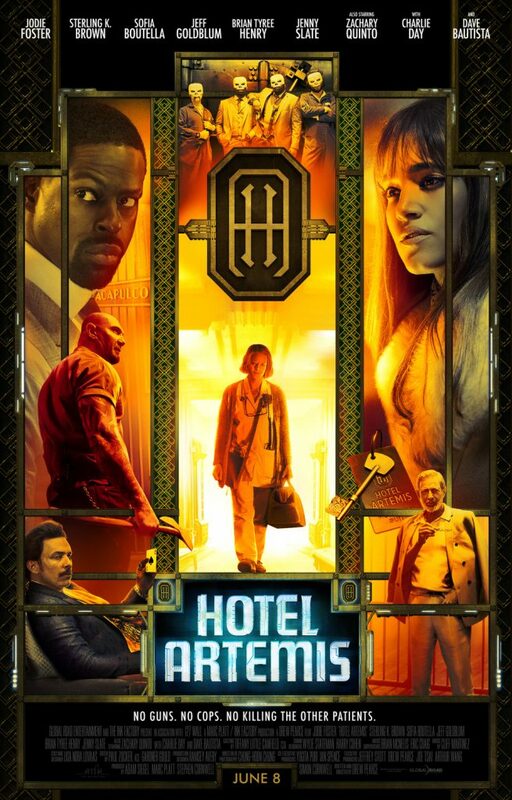 Hotel Artemis is in theaters now. Be sure to follow E-Man’s Movie Reviews on Facebook, Subscribe on YouTube, or follow me on Twitter/IG @EmansReviews for even more movie news and reviews!